Location: Village Roadshow Theatrette, State Library of Victoria, Melbourne. How can we stop consuming our future? A final audience with Satyajit Das to launch The Rescope Project. To be broadcast by the ABC's Big Ideas & introduced by Mike Hirst, CEO of Bendigo Bank. Our current economic system has reached a range of limits. Growth as we've known it is over. Why? What comes next? And what can we do, personally and collectively, to deal with this situation constructively? Join us with one of this country's leading thinkers, best-selling author & former financier, Satyajit Das, to pick apart the complexities of what's facing us, and explore what we can do about it? Recent economic growth and understandings of prosperity have been based on excessive debt, environmental damage and overuse of non-renewable resources. In an effort to sustain an unsustainable model, problems and costs are being pushed into the future to feed current consumption and lifestyles. But the transfer of wealth from the future cannot go on forever. The process robs the generations to come – our children. Join us in this special conversation event with Satyajit Das, to explore how we can change our world to deal with these issues in a constructive way. Satyajit Das is a former financier. He anticipated the 2008 financial crisis and has been prescient in outlining subsequent developments. In September 2014, Bloomberg included him as one of the 50 most influential people in international finance. He was featured in Charles Ferguson's 2010 Oscar-winning documentary ‘Inside Job’, the 2012 PBS Frontline series ‘Money, Power & Wall Street’, the 2009 BBC TV documentary ‘Tricks with Risk’, and the 2015 German film ‘Who's Saving Whom’. Das is the author of two international bestsellers, ‘Traders, Guns & Money: Knowns and Unknowns in the Dazzling World of Derivatives’ (2006) and ‘Extreme Money: The Masters of the Universe and the Cult of Risk’ (2011). His latest book is ‘A Banquet of Consequences: Have We Consumed Our Own Future?’ (2015). 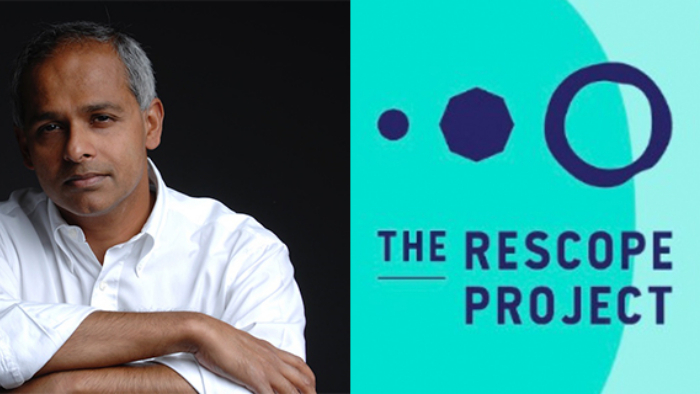 MSSI proudly supports The Rescope Project and their Regenerating Society Series of events.